Elk deer painting done in oil with palette knives on stretched canvas by artist, Christiaan Bekker. 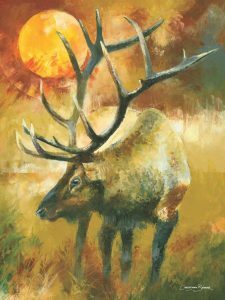 Hang this colorful elk deer oil painting anywhere in your home or office. It can be a special gift to a hunter. 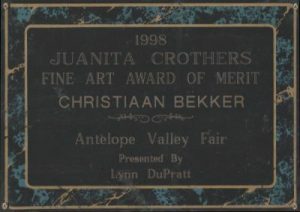 Wildlife art is also a very popular theme among customers, friends and family. Show your love and support for wild animals with a custom piece created by the artist just for you.